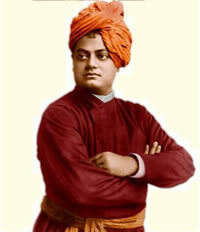 Speeches of Swami Vivekananda are available at our Audio Category. You can also Download it. 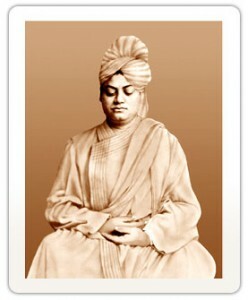 Swami Vivekananda, known in his pre-monastic life as Narendra Nath Datta, was born in an affluent family in Kolkata on 12 January 1863.Â His father, Vishwanath Datta, was a successful attorney with interests in a wide range of subjects, and his mother, Bhuvaneshwari Devi, was endowed with deep devotion, strong character and other qualities. A precocious boy, Narendra excelled in music, gymnastics and studies.Â By the time he graduated from Calcutta University, he had acquired a vast knowledge of different subjects, especially Western philosophy and history.Â Born with a yogic temperament, he used to practise meditation even from his boyhood, and was associated with Brahmo Movement for some time. Note : The audio files does not contain the original voice of Swami Vivekananda. Its not the voice of swami vivekananda. Some retired lecturer of West Bengal has recorded those speeches with his voice. Yes sir. Its not voice of Swami Vivekananda. We have already added it in a Note. i didnt got any speeches of sir. !would you please help me! Please check with your browser compatibility and make sure that flash player installed in your system.